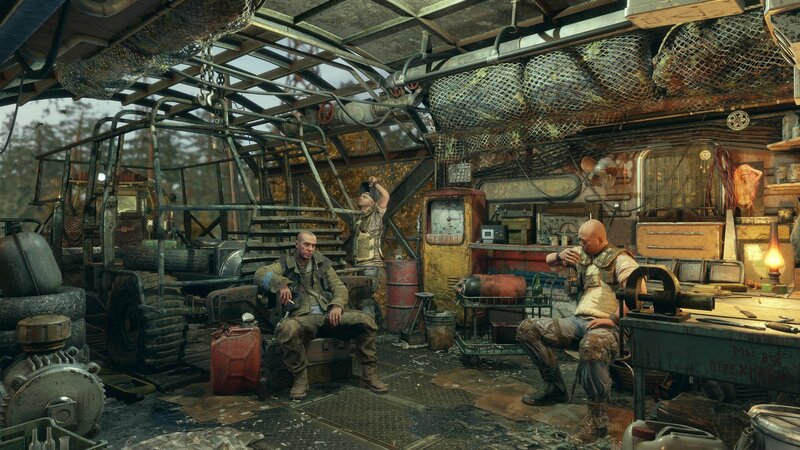 Metro Exodus’ move from Steam to a one-year exclusivity agreement with Epic caught fans by surprise on Monday. It seems to have also been a curve ball for Deep Silver parent THQ Nordic, with two contradictory messages coming out of the publisher in the past day. Besides the strangeness of declining to comment and immediately proceeding to comment, THQ Nordic’s pair of tweets raised eyebrows for revealing what seems to be internal strife over the matter. Today, the publisher took the step to clarify its organizational structure while affirming support for Deep Silver’s decision. THQ Nordic, headquartered in Sweden, owns three different sub-groups: Deep Silver (Saints Row,Metro, Dead Island), THQ Nordic GmbH (Darksiders, Titan Quest, Wreckfest), and Coffee Stain (Goat Simulator). This structure is similar to Activision Blizzard’s ownership of Activision Publishing and Blizzard Entertainment. “I fully support our sub-groups’ autonomy to run their respective businesses,” says THQ Nordic co-founder and CEO Lars Wingefors. “I believe it’s in the group’s, and ultimately the consumers’, best interest that business decisions are made close to the market and this is the group’s consistent business model. Wingefors also reiterated that THQ Nordic AB (the parent company) will be exploring a name-change to better differentiate itself from the publishing business responsible for Darksiders and other titles. The company had shared this plan with shareholders in 2018. 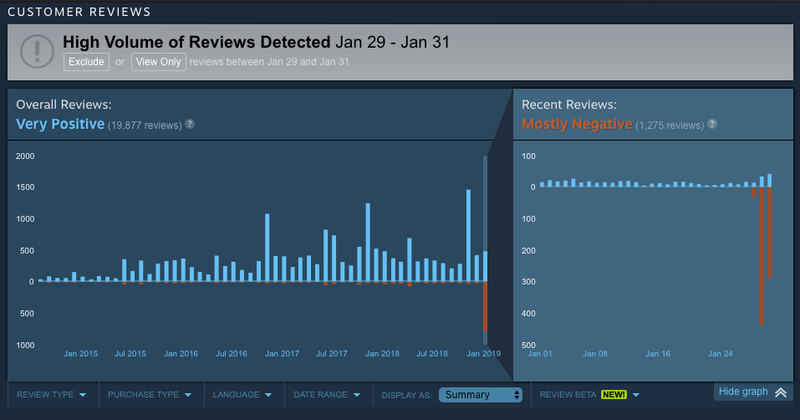 The shift from Steam to the Epic Games Store also caught some fans off-guard, with some opting to weaponize the user review system. The previous entries in the franchise, Metro 2033 and Metro: Last Light, have been review bombed on Steam. This is a common tactic amongst consumers who feel slighted by anything from business decisions to discounts to attention to diversity (as was the case when Harebrained Schemes’ Battletechdared to include a choice of inclusive pronouns). This is despite Deep Silver honoring Steam pre-purchases, with a promise that those who committed before the announcement would be able to play Metro Exodus on Steam at launch. 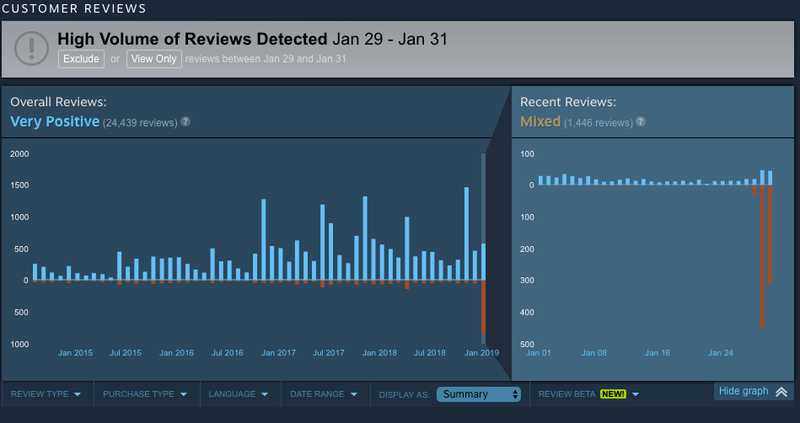 Steam’s decision to call the move “unfair to consumers” (along with THQ Nordic’s own self-immolating statement yesterday) helped polarize a community that wasn’t entirely equipped to evaluate Deep Silver’s choice to abandon Valve for Epic. While some have accurately pointed out that Epic Games Store currently lacks important quality of life features, like cloud saves, others have leaned on a notion that store exclusives are “anti-consumer.” This is despite the fact that in the United States, the move to Epic Games Store comes with a $10 price drop. It’s not yet clear if the discount pricing is permanent or tied to the pre-order and launch window. The price drop isn’t mirrored in other territories because of retail complications. In the United States, packaged PC games are all but extinct. However, in other parts of the world, that market still thrives. Reducing digital PC pricing outside the United States means potential frustration from retail partners, a need to reduce wholesale pricing, and reprinting of marketing collateral that would otherwise carry outdated pricing. As it is, those purchasing retail copies might be in for a surprise, as the digital transition from Steam to Epic Games Store is mirrored in the boxed redemption codes. The decision to move from Steam to Epic Games Store seems like it might have impaired Deep Silver’s relationship with Valve. Metro: Exodus’ presale placement on Steam was a form of advertising (for which Valve will still get its 30 percent cut on copies it already sold). Getting prominent placement during big holiday sales is just one element of distributing on Steam that can be heavily driven by relationships. It’s safe to believe that Valve might not want to give Deep Silver much attention come the Spring Sale. With discoverability as challenging as it has become on PC (especially during big sales), getting in front of consumers is key to driving revenue during these important windows. The flip side is that we can make some rough calculations about how much more money Deep Silver will make in this move. For this we need to agree on some core assumptions. US versus non-US sales on PC are split evenly. Previous games in the series have been weighted toward non-US sales in the past, so this is a conservative estimate. These sales occur before decay curves set in and the first PC discount takes place. One might safely assume that in the US, a PC sale price might be significantly less impactful or happen later because of the lower base price point. Assuming 500,000 PC sales prior to a temporary discount price, Deep Silver would net $21,996,250 on Steam (inclusive of the recent tiered revenue share model that kicks in at $10 million gross earnings). On Epic Games Store, which features an 88/12 revenue split, Metro Exodus would earn $24,195,600 (nearly $2.2 million more than on Steam). There are other considerations beyond the revenue split, though. Epic might be offering a minimum guarantee (as GameDaily managing editor posited on an episode of the BizCast). This helps mitigate the likely significant difference in install base between the stores. Audience is an important consideration for publishers like Deep Silver, Ubisoft—which is releasing The Division 2 only on Epic Games Store and Uplay on PC—and Zen Studios—which today announced EGS exclusivity for its upcoming RPG Operencia: The Stolen Sun. 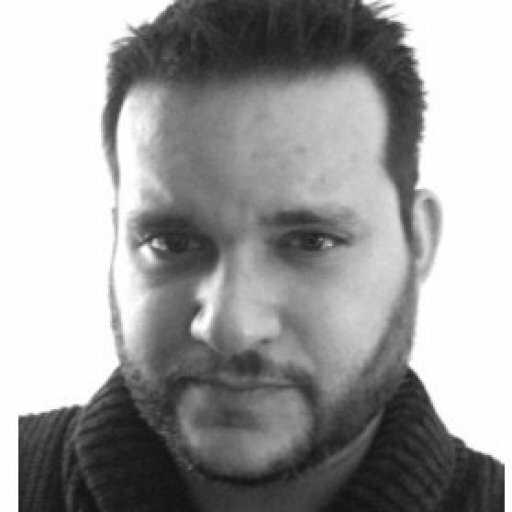 Deep Silver might have also negotiated in-kind or direct promotional support. It’s safe to suggest that Metro Exodus will have a foothold on the front page of the Epic Games Store longer than it would have on Steam. The details of Deep Silver’s contract with Epic are covered by a heavy fog of war. Any number of different considerations might have helped sway a decision that seems to have surprised even those in the same corporate family. While financial factors may have led to the decision, Deep Silver may have underestimated the resulting attitude of a vocal group of consumers. The biggest unknown as major publishers start opting for exclusivity outside of Steam is whether the group resorting to review bombs and angry social media rants are large enough to make a dent in sales.